For women who face infertility, there can be many dark days because of the unknown. But the truth is the future for IVF is bright because there is no better time to seek infertility treatment than now because medical advancements in this field are happening constantly. And every few years, a reproductive technology comes along that revolutionizes infertility treatments for patients. Comprehensive Chromosome Screening (CCS) is, arguably, one such technology in our lifetime. Clinics all over the world are embracing the future of genetic embryo screening because it not only takes the guess work out of a treatment plan, but it has a very high success rate, it’s more cost effective. 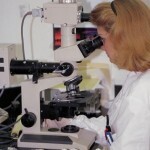 Comprehensive Chromosome Screening, also called Preimplantation Genetic Screening or PGS, is performed in conjunction with IVF treatment and is increasing the success rate of IVF treatments both in terms of higher implantation rates and fewer miscarriages, but also reducing the rate of multiple births. According to the CDC, an estimated 70% of early miscarriages are associated with a chromosomal abnormality in the fetus. And as we all know, the older we get the odds of a successful implantation get less and less. For women 35 years of age or older whose eggs are at increased risk for chromosome errors, CCS offers the best hope at a successful IVF treatment. The purpose of CCS is to analyze, select and transfer only embryos that do not have abnormalities in their number of chromosomes. The method allows for the evaluation of all 23 pairs of human chromosomes on a single cell with quantitative real-time polymerase chain reaction (qPCR), SNP or CGH. After CCS testing, only embryos that have the correct number of chromosomes are selected for transfer. Screening embryos in advance allows the physician the ability to know that there is compatibility, taking the guess work out of the it. This treatment is not quick. The process can take several days and up to a week. So the decision to travel for this procedure to a destination that offers a more spa-like retreat makes a lot of sense because having a relaxed body and state of mind is crticial to a successful outcome. Studies have shown that transferring embryos into a uterus that is in a more natural hormonal state enhances the likelihood of implantation and a healthier outcome. One of the emerging medical desitinations that’s attracting clients is Barbados. The clinic there is state of the art and a beautiful location. The advancement of CCS is the answer for those couples who have had multiple-failed IVF cycles or implantation failures, and for couples with repeated miscarriages. This is particularly beneficial for women 35 or older.